DUG Insight User ManualFrequently Asked QuestionsFrequently Asked Questions HorizonsHow do I dynamically update an Isochron Map? 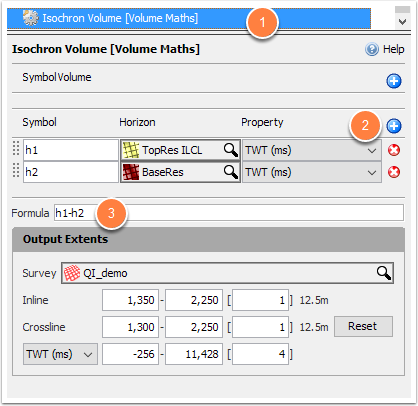 Use Volume Maths to create a volume based on the Isochron values and then extract them onto the horizon. As you make edits to the horizon map, Insight will dynamically update the volume. Go to the Process tab and add a Volume Maths process. Add two horizons with the "+" in the Volume Maths panel and select horizons for h1 and h2 respectively e.g. 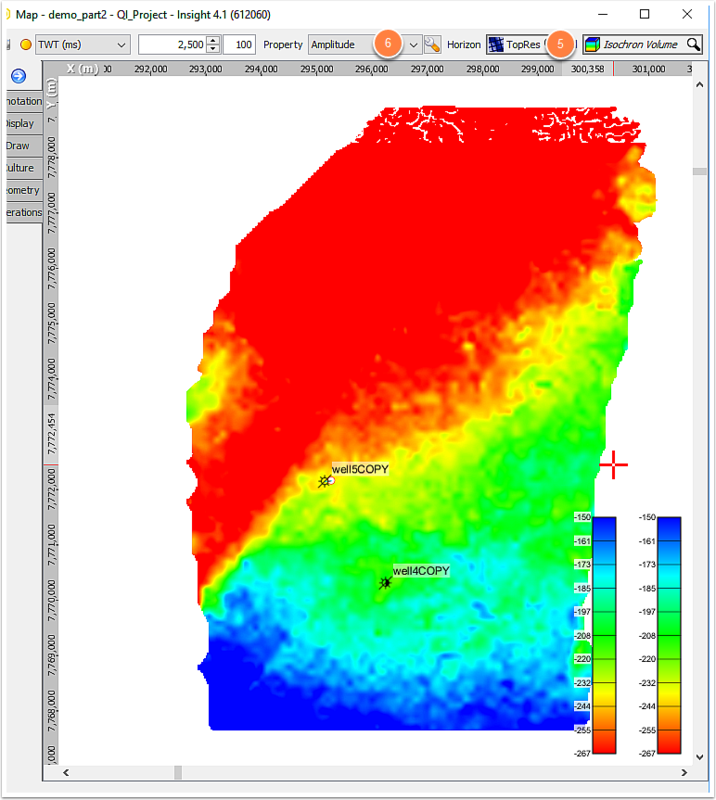 Top and Base horizons for Isochron. Use the formula h1-h2 in the Formula text box. This will create an Isochron volume. 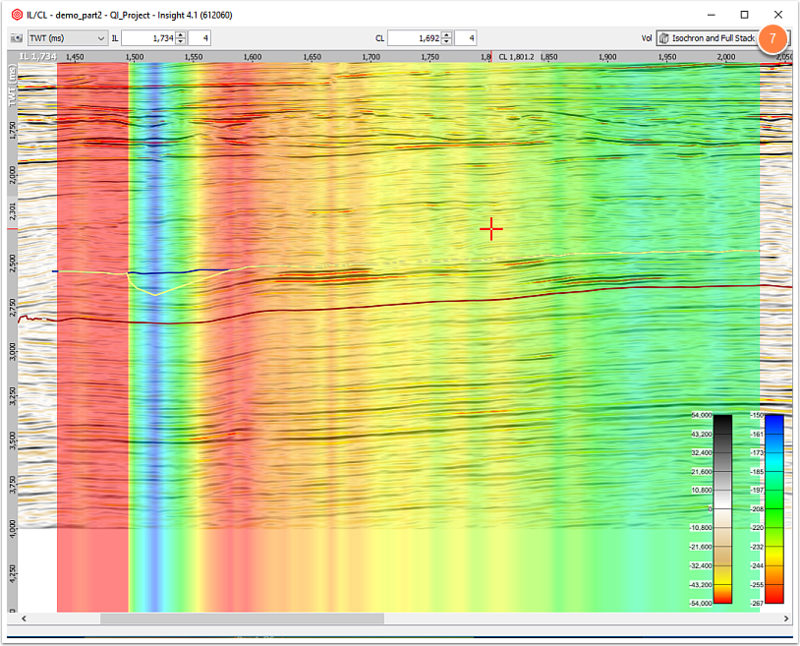 Go to the View menu and display the volume in IL/CL View, with horizons overlaid. Display a horizon you wish to drape the isochron onto in Map View. Click ther Operations tab and perform amplitude extraction (learn about Amplitude Extraction). Create a Group with Isochron volume and Full Stack and set the Isochron volume opacity (in class) to mid (read about Creating a Group and Class Opacity). 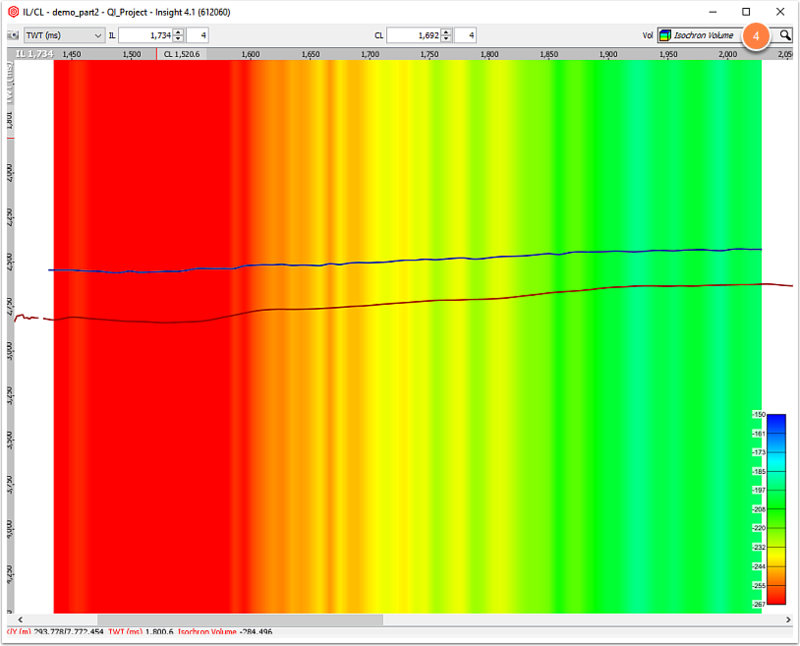 Edit anomalous values directly on the input horizons and the Volume and extraction will dynamically update. Prev: How do I perform an amplitude extraction between two horizons? Next: How do I pick events on absolute impedance and other non-zero mean data?